May is here are the weather has (occasionally) been fantastic! Honestly, when’s it’s been nice, we couldn’t have asked for better. A warm sun with a gentle breeze. Perfect! It’s allowed us to do one of the things we love the most, which is get out in our garden. It’s is so much bigger than the house, that when the weather’s nice we tend to gravitate out there, to play, relax and soak up some vitamin D. And when we can, we also love a good barbecue. We had the first BBQ of the year last week. Ben’s very proud of his BBQ. I call it the behemoth, because not only is it a grill, but it’s also a smoker too. 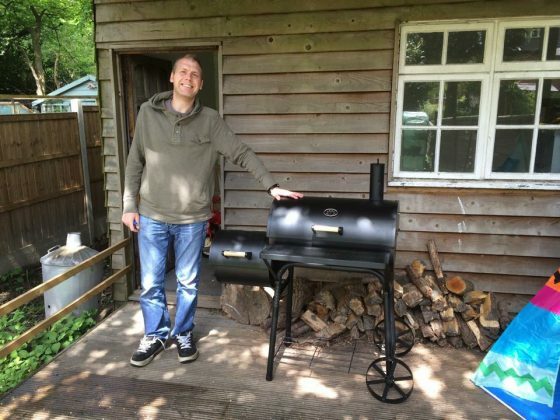 If you’re interested in smoking or slow barbecuing you can read my post about it here. He’s very proud of his BBQ! It’s a proper man toy and a few years ago Oscar bought Ben a snazzy set of BBQ tools (in their own case that look something like an assassin might carry) for Father’s Day. Ben was thrilled with them and they’ve been used every barbecue season since, to turn the food and prod the coals. They were a good present! But I’m never sure what to get Ben for Father’s Day and I always leave it to the last minute. I’m hoping when Oscar’s older he can have some kind of input or even better make him something so I don’t have to make the decision, but for now it’s my job. I’m trying to get ahead of myself this year with some ideas. But where to start? I decided to looks at previous year’s gifts and see if I can get any inspiration from those. And if you can too, well that’s just dandy! A cast of Oscar’s 8 week old footprint. A proper first Father’s Day gift. Ben’s first Father’s Day and Oscar was only two months old. All Ben (and I) really wanted that year was sleep. Oh precious sleeeeeep. 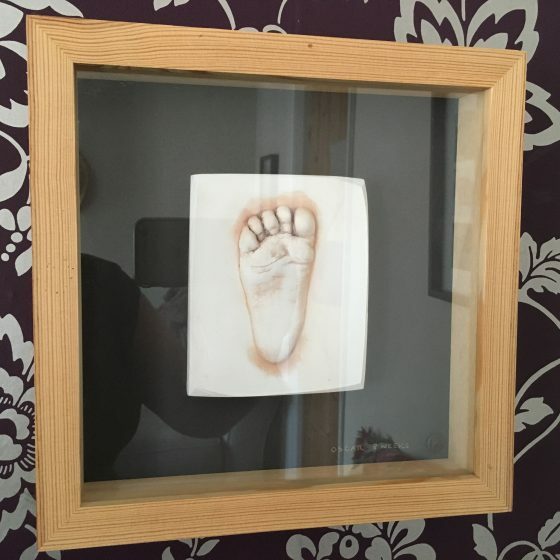 But as that wasn’t going to happen, I went for a keepsake instead, buying a cast of Oscar’s tiny foot from a local company called Little Impressions. I have to say this was a perfect first Father’s Day gift, but I probably wouldn’t have bought it any other year. Although it was quite expensive at the time, I’m really glad I did it. Isn’t it gorgeous? Father and Son. This picture is framed and in our lounge. I wanted to get something a little bit personal to Ben and Oscar and by chance had taken this photo on my phone a few weeks before Father’s Day. It’s not the best quality photo, but Ben loved the image, especially as he didn’t know I’d taken it. I got it printed through an online printer (Photobox I think) and the frame from Homebase. 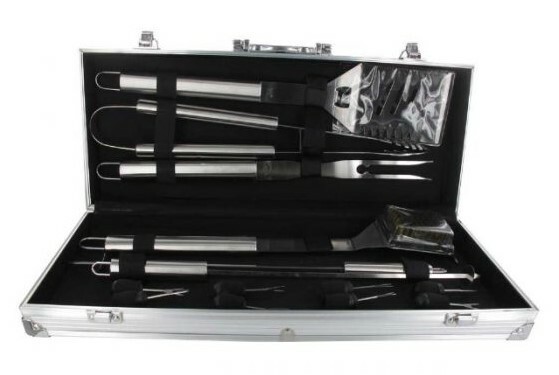 Serious BBQ utensils for a serious BBQ chef! All stored in a serious looking case! As I mentioned I was inspired by Ben’s purchase of the BBQ just before Father’s Day with this one. It’s less personal, but very ‘Fatherly’ and it was received just as well. I bought it from Amazon, but I’ve seen for sale it in various places. I love this image I captured last Father’s Day. Twinning is winning, with love. 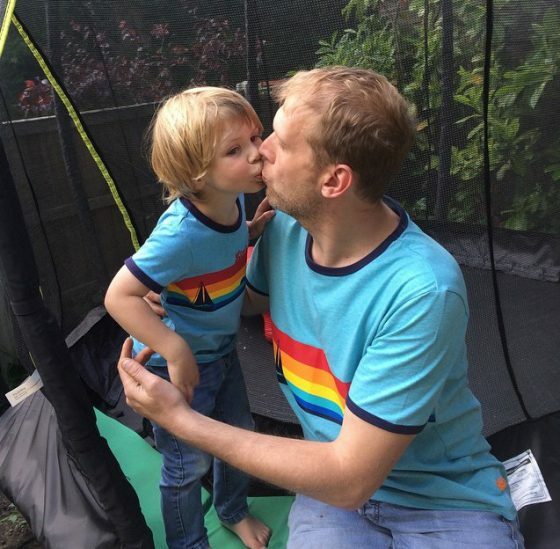 Last year I had already bought Oscar a tshirt from Little Bird at Mothercare when they released a limited edition, Daddy size version just in time for Father’s Day. My guys had never done twinning before, but how cute is this? 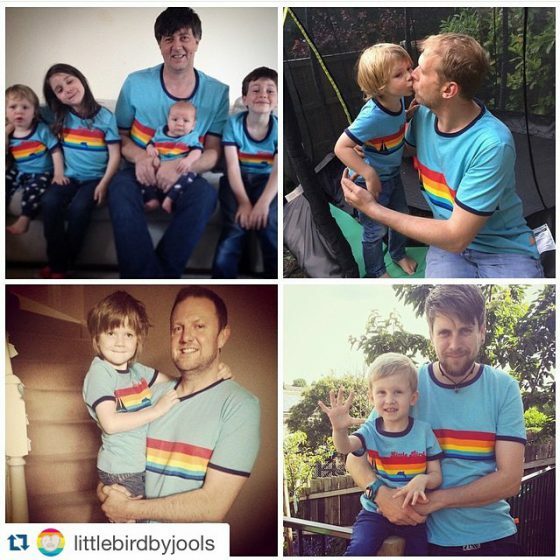 Even more cute was that Little Bird chose my Instagram picture of the boys in their tees for their Father’s Day Post. This was a lovely present and even though Oscar has grown out of his (boohoo), Ben still wears his. So there we go. Seems I like personal gifts or those that are practical. And I think they’re the kind of gifts Ben likes too (although I think he probably prefers manly, Fatherly gifts) And short of buying him a flat cap and a pipe here are some of the ideas I have had for this year. 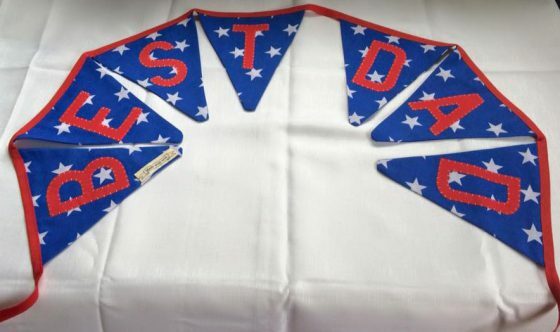 I love this bunting from Bonkers for Bunting. 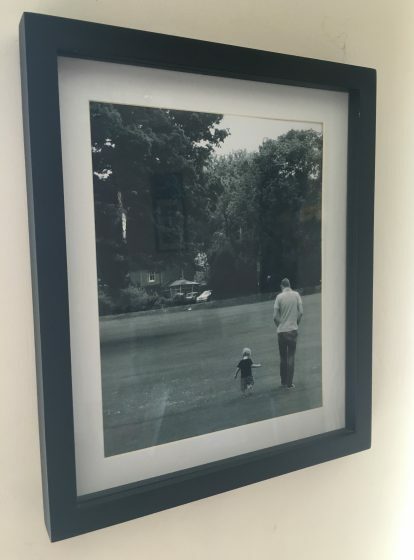 What a super idea for decorating for Father’s Day and if the Dad in your life has an office or a workroom or even a shed they spend lot of time in, what a lovely decoration and reminder of their children’s love all the year round. 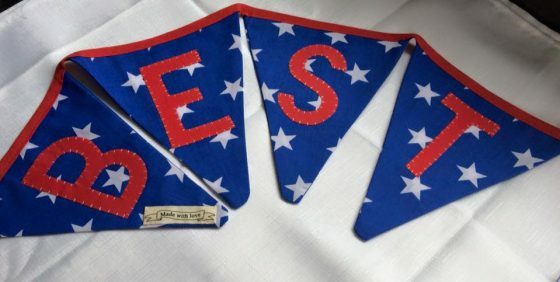 I love that these buntings are completely customisable, so if you would prefer Daddy or even some other name then they can accommodate you! Plus they’re all handmade with love by a mumtrepreneur down in beautiful Devon. What more could you ask for? 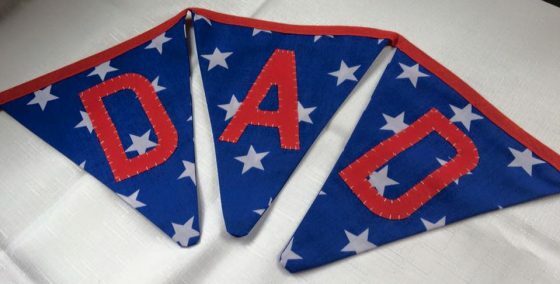 Beautiful handmade bunting for Father’s Day. If the Dad in your life likes to think that he’s handy, but is really more of a hacker then how about some Sugru, the crazy mouldable glue made for life hackers. This stuff is mind boggling, both in it’s properties and the amount of incredibly useful things it can be used for. It starts out soft like putty but dries to a hard but flexible, waterproof, cold proof, heat resistant to 180°C rubber, that sticks to most materials. I’ve been trying to think of things round our house that need Sugru and the more I think the more I come up with. Frayed cables need mending, the freezer drawer is cracked, pan handles need fixing, the rubber feet on the toastie maker need replacing, seriously the list goes on. Ben is a keen gardener and you know how gardeners love a good hack to help them grow their veggies, so I can imagine this would also be really useful down at the allotment! In case I haven’t described it very well here’s a fab 89 second long explanation of what Sugru is! 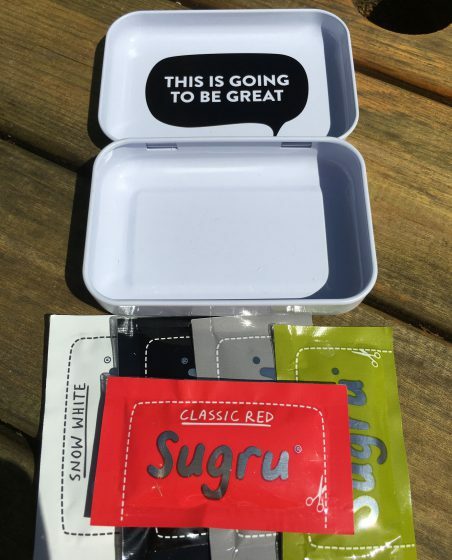 They produce all sorts of different size packs and kits, but if you’re new to Sugru then maybe the Starter Kit is for you. So if the dad is your life loves to fix rather than replace (and good on him if he does) or just likes to save a bit of money along the way, this is the gift to help him do just that! Hope these ideas have been of some help. Let me know what you’re thinking of giving this Father’s Day. I’d love to know. I would like to thank Sugru for gifting me the Starter Kit to try. None of the other products were gifted to me. I was not paid to write this review and as always my opinions are my own. January has been and gone. That’s right 2016 is 1/12th done! And it’s actually been a much better month than I expected. Here’s some things we’ve been enjoying over at Casa Savage this month. Woody and Florence is a mama run Etsy company I found on Instagram (anyone else love looking at independent traders on IG?). She makes various gorgeous things, but her bead bracelets really caught my eye. One of her best selling is one that spells out MAMA, which I loved and planned to get. Then one day I decided this wasn’t enough. I guess I’d spent quite a lot of last year grieving the loss of my chance to experience “typical” motherhood. I’m having no more children. I will only ever be an Autism Mama. I wanted to acknowledge that, whilst I was a mother, my motherhood was different. So I contacted Chloe and asked for a custom bracelet. It didn’t cost much more and I haven’t taken it off since it arrived! It’s a way of acknowledging who I am to myself, but also to others. I am an Autism Mama. May others of my tribe find me. I have also recently bought a copper bead bracelet to go with it. Isn’t it gorgeous? I have a thing for copper at the moment. But truth be told, it’s my AutismMama one I love the most. I first came across Heck Foods when someone at my Slimming World group told us about their Chicken Italia sausages, which at the time were listed as 1/2 syn per packet! When Slimming World reviewed their syn values last year they changed these delicious delights to 1/2 syn each, but even so! Gorgeous, low fat and gluten free, what more could you ask for in a sausage? Anyway I can’t get their full range locally (and Ocado don’t stock them) so this month I decided to treat myself to a selection direct from the producer. I got 10 packets for £25 inc delivery and bought a real mixture. The 97% ones are for Oscar (although at 3 syns each not outside the realms of possibility for me either), the Chicken Italia ones are 1/2 syn each and the Paprika Chicken and Zesty Chicken 1/2 a syn for 2! And they’re all delicious. I’ve already made a jambalaya and a casserole with the paprika ones. And it’s so nice having some low syn yumminess in the freezer, ready to take out when the mood takes me. And who doesn’t love receiving a huge box of sausages in the mail ? I’ve already written about my reasons for rejoining Slimming World here if you’re interested. But I couldn’t not include it here. I followed Slimming World for 2.5 years until mid way through last year when, for one reason and another, I stopped. Anyway, I went back at the beginning of the month and it has been soooooo good for me. Having something to focus on other than just mummy stuff was just what I needed. I’ve lost 6.5lb in January. Not bad huh? I’m also approaching it a little differently this time, being kinder to myself and never, ever putting any weight loss down. Half a pound is half a pound I no longer have to lug up the hill on the preschool run. Why wouldn’t I celebrate that? If you’re interested I’d love for you to read my updates for Week 1, Week 2 and Week 3. Anyway Amazon Prime recently added the entire X-Files back catalogue to their collection, and we’ve been reminiscing. Apart from the dreadful hair styles they made poor Scully adopt (which we have come to the conclusion were to make Gillian Anderson look older than she actually was) and the glorious pant suits, it’s aged pretty well. We’ve watched the entire first series and are starting on the second now. I’d like to watch all the old episodes before starting on the new episodes that are coming out (and that friends are so excited about), so no spoilers please! In the summer of 2014, we gutted our bedroom and redid the lot. Rendering and plastering the walls, painting, taking up the carpet and staining the original floor boards. We also removed the ridiculously large radiator, had shutters fitted to the windows and pulled down the badly made and ugly fitted wardrobes, with the plan to have some more built in their place. Only we then realised we couldn’t afford what we wanted. We tried to save, but it took a long time and in the meantime we were living with piles of clothes on the floor. For 18 months! Anywho, this month we finally had enough money and started to think about getting the wardrobes. Then I had a brainwave, to buy ready made. One wardrobe and one chest of drawers instead of two built in wardrobes. And all of a sudden we were kicking ourselves of not thinking of that sooner (that’s what migraines do to me, they send my mind into a really creative space, weird huh?) So anyway, we bought some gorgeous pieces from John Lewis. But, when they arrived they couldn’t get the bloody things up our tiny cottage stairs!!! Suddenly it was obvious why the previous owners had gone for built it! But I was not going to be beaten, no siree! I found some actually really lovely flat pack on the IKEA website and convinced Ben to drive to Southampton to get them (less said about that visit the better I guess, but hey we got what we went for and no one died!). Ben spent all day putting them up and they fitted the alcoves in our room perfectly. Like more than perfectly. Someone even asked me if IKEA now did customised furniture! A perfect fit. And I’ve even been able to get my sheepskin rug out. For a touch of fancy! It’s just amazingly nice to have somewhere to put our clothes. That isn’t the floor. The room finally feels almost finished. And I know it’s definitely taken a weight off Ben’s mind. It’s the peaceful space we’ve needed for so long. Who knew wardrobes and drawers could have such an effect? What have you and your family loved this month? I’d love to know. I was not paid to endorse any of these brands. I paid all my favourites myself. I just like sharing the things I love.